The author explains the importance of play for learners in higher age groups. There is something so satisfying about watching kids play. As my 5th graders near the end of their elementary years, I wanted them to leave with a sense of play. Actually, the conversation started with a colleague who teaches kindergarten. We were both inside with my students during a rainy day. Her comment: “They do not know how to play anymore, do they?” This was as my children were racing around the room or sprawled out in a huddle talking to each other, gossiping about each other. They start getting in trouble as they near middle school years. There are friendship troubles and some strange boy-girl relationships going on. On the playground, they sit around at tables often or in groups. As I look around, I realize what is missing: play. So, today we went down to kindergarten to play. The kindergarteners and their teacher set up stations for my grade 5 students and then they left the room. There was a LEGO area, a light table, plasticine for molding and playing, large blocks of all sizes for stacking, bits of ceramic pottery. Their teacher put on some music from a zen garden, and in we came. I had prefaced the play experiment with the fact that Google, Apple and other creative tech companies incorporate play into their workplace. It helps fuel creativity. I wanted to give my kids something to go on so they did not think it was too babyish. I told them it was ‘forced’ play. No one was to stand off and do nothing. They had to choose something. Well, as we entered the room, they quickly zoomed to the LEGO, the plasticine and the large wooden blocks. The boys dug into the huge LEGO box and started building cars and a fortress. 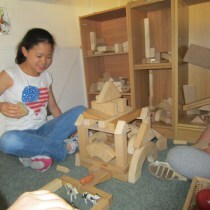 The girls near the large blocks built a beautiful castle with a pen for their animals. 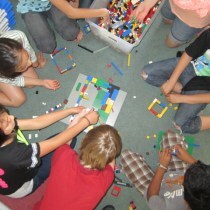 Other students in the hallway were shaping food and cities out of the plasticine. Their play morphed into throwing the plasticine on the floor to hear it squeeze out all of the air bubbles. Then, they wanted to toss it like a pizza maker. 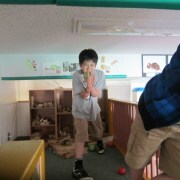 After rotating activities, suddenly there was a bowling alley made out of wooden blocks with fruit for balls. The conversation was interesting. 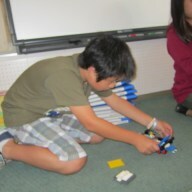 Some leaders in the class were suggesting how to do things. They led the creative play. One student was told he could not play because there wasn’t enough room. He did not have the social skills to respond back so went out into the hallway to mope. I felt like a kindergarten teacher myself as I talked with him and then brought him back into the group, telling them they all could play together. Another child, who is new to class, wandered from station to station, unable to engage in any of them. He sat down with LEGO, tried something. Then, he moved, tried something else. So interesting. So, play. Interesting to observe. Fun for the kids. New conversations happening. Social skills. Teamwork. Hands-on. So much going on. After an hour, the students wanted to stay. I hope they keep a sense of play as they move on to Middle School. I wish them that and more as they are growing up. 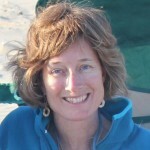 Kristen Blum is a PYP teacher, currently teaching grade 5 at Yokohama International School in Japan. She has taught in IB world schools in Asia and is passionate about inquiry, visible thinking and allowing students to have a voice in their education. She has been a literacy coordinator and is currently the elementary reading project coordinator at YIS. Kristen blogs about education and her family at: http://kdceci.wordpress.com/ and keeps an active class blog, so everyone can join in on the students’ journeys: http://blogs.yis.ac.jp/blumk/. Does this method is also used in teaching English and if yes how? It is an insightful research Kristen!, However my interest is how much time they could spend time at a station and how creatively they could manipulate the tools and make something different at a time. How could you assess their playing skills relavaant to their age and emotional and physical strength? It is an insightful research Kristen!, However my interest is how much time they could spend time at a station and how creatively they could manipulate the tools and make something different at a time. How could you assess their playing skills relevant to their age and emotional and physical strength? Great read Kristen, How is Yokohama these days, I’m sure it has changed a lot since I was there. I would like to tinker with your use of play and say that the fun has gone out of the PYP, its something that I have been noticing and hearing a lot. Another thought that came to mind was that maybe there is too much play in the EYs, shall we say a lack of meaningful play thus the need to push ahead to catch up when a student starts in the PYP from 1-6.